Archie and his Riverdale friends will match wits -- and maybe a vocal or two -- with the likes of Glee's Finn Hudson, Kurt Hummel and Rachel Berry in the pages of Archie Comics. The kids from Riverdale are no strangers to high school angst, worries about fitting in or music. Neither are the teens from Glee. Now, Archie, Betty, Veronica and resident boy genius Dilton Doiley will match wits — and maybe a vocal or two — with the likes of Finn Hudson, Kurt Hummel and Rachel Berry in the pages of Archie Comics, said Jon Goldwater, the co-chief executive officer. Goldwater unveiled the planned collaboration on Monday, ahead of Wednesday's start of Comic-Con in San Diego. He said the crossover between the Fox show and the comic book is set for late this year or in early 2013, and is being written by Roberto Aguirre-Sacasa, one of the television show's writers. It features multiple characters from the long-running comic book and the Fox show now in its third year. Dan Parent is illustrating the story. "I've become friendly with Roberto — he's just a genius writer," said Goldwater, who met the playwright last year at New York Comic Con when he stopped by Archie Comic Publications Inc.'s booth. "He and I were shooting the breeze." That visit sparked a friendship and, ultimately, the idea for the crossover. "It turns out he's been a fan of Archie for years. His most recent Halloween costume? He was dressed as Archie!" Goldwater said. For now, says Goldwater, the plot of the four-issue story arc in Archie Comics is a closely-held secret, but it does involve parallel dimensions, dancing and some serious singing, too. It's also the latest step for the publisher, which has expanded its pop cultural offerings beyond just Jughead, Midge and Mr. Weatherbee. In the past two years, Archie Comics has brought in an openly-gay character, Kevin Keller; been visited by the band Kiss; and seen Archie marry Valerie, the bassist for Josie and the Pussycats, and have a daughter with her. "Those have reintroduced a lot of people back to Archie," Goldwater said. "And it's opened a whole new world of people coming to Archie for the first time, too." Goldwater said that in the course of his conversation with Aguirre-Sacasa it was evident both Glee and Archie had some common ground despite coming from decidedly different media, including a diverse array of characters, conditions and concerns. 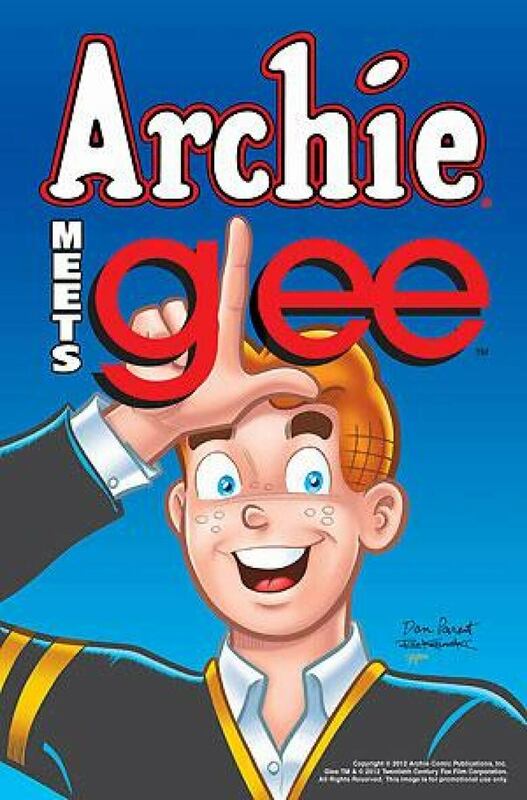 "Glee is courageous in their story lines and how they represent their characters, how they represent the high school situation," he said, noting that it's similar in the world of Archie, too.